The city’s largest measles outbreak since 1991 has mainly been confined to the Orthodox Jewish community in the borough of Brooklyn’s Williamsburg neighbourhood, with 285 cases confirmed since October, de Blasio said at a news conference on Tuesday. There were only two reported cases in 2017. 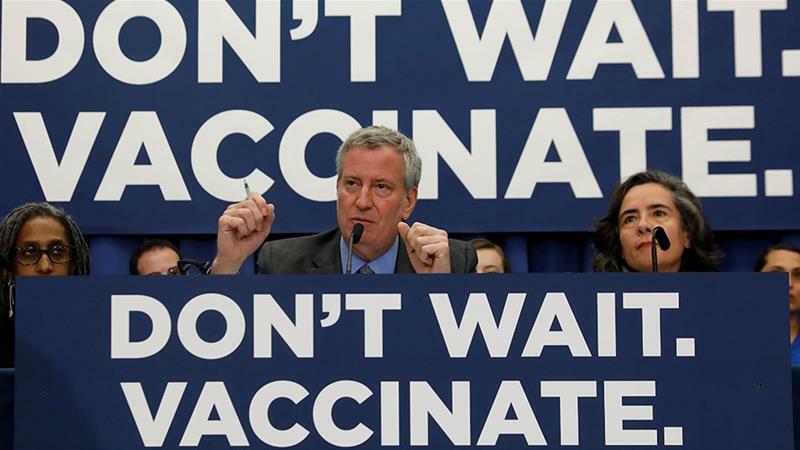 “This is the epicentre of a measles outbreak that is very, very troubling and must be dealt with immediately,” de Blasio said. He was joined by health officials who decried what they called “misinformation” spread by opponents of vaccination. The city can’t legally physically force someone to get a vaccination, but officials said people who ignore the order could be fined $1,000. The city said it would help everyone covered by the order get the vaccine if they can’t get it quickly through their regular medical provider. 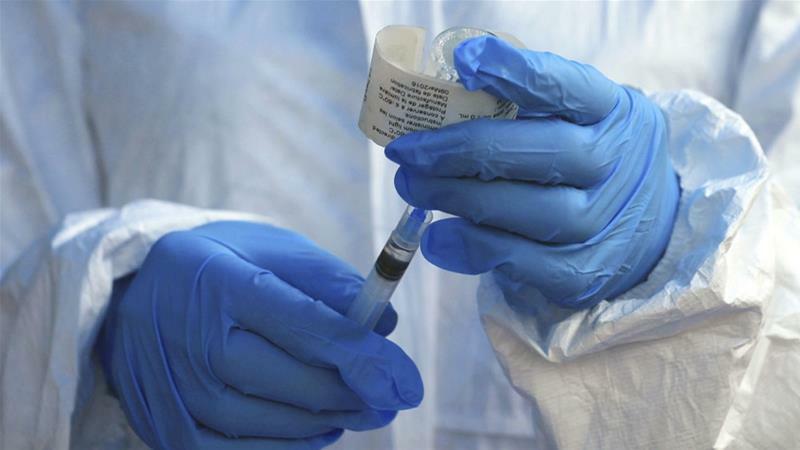 The city’s health commissioner, Dr Oxiris Barbot, said that the majority of religious leaders in Brooklyn’s large Orthodox communities support vaccination efforts, but that rates have remained low in some areas because of resistance from some groups that believe the inoculations are dangerous. Health officials also expressed alarm at reports of parents in the city holding so-called “measles parties” where they intentionally expose their unvaccinated children to an infected child in the mistaken belief doing so is a safe means to create immunity.